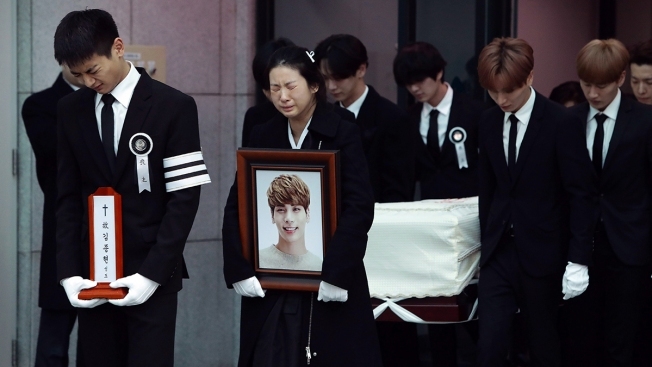 The lead singer of popular South Korean boy band SHINee died on Monday, police said, in a possible suicide. 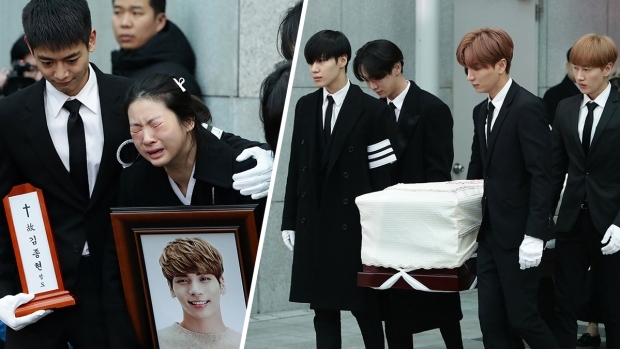 Police said Kim’s sister told them that the singer sent her text messages such as “Final farewell” and “I’ve had difficulties” before his death. Yonhap news agency said authorities found burned coal briquettes, which produce carbon monoxide, in a frying pan in Kim’s hotel room. Kim debuted in 2008 as the main singer of SHINee, and cultivated a career as both a group member and a solo singer-song writer. His last public appearance was at a solo concert titled “Inspired” on Dec. 9-10 in Seoul, and he was scheduled to hold concerts with SHINee members in Tokyo and Osaka in February, Yonhap said.